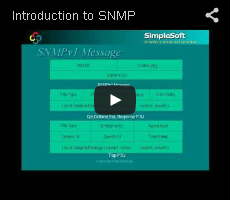 Supports all SNMP versions: SNMPv1, SNMPv2c, SNMPv3 and even Diffie-Hellman for CableModems. Supports multiple named device profiles for managing multiple devices. Includes data reporting feature to retrieve a specified list of variables. Tests IP connectivity using Ping and Traceroute.